With its disturbing portrait of a world infused with racial politics, misogynist social structures and backstabbing treachery, Shakespeare’s Othello feels like it’s been ripped from today’s headlines – not written over 400 years ago. Two lovers come from very different worlds: Othello, a mighty General from a foreign land, and Desdemona, a beautiful Senator’s daughter. They marry, undeterred by the prejudices that surround them. But no sooner are their vows sealed than their love is put to the test, as bigotry, envy, and jealousy begin to pull them apart. Playing on Othello’s insecurities as an outsider in a predominantly white society, the charming but envious Iago – an ensign and trusted advisor – stokes the flames of his commanding officer’s jealous nature, bringing both the lovers, and the world they live in, to the point of utter collapse. In its raw emotions and ruthless politics, Othello remains an ageless and poignant tragedy. William Shakespeare was a renowned English poet, playwright, and actor born in 1564 in Stratford-upon-Avon. His birthday is most commonly celebrated on April 23rd, which is also believed to be the date he died in 1616. Shakespeare’s vast collection of work includes 38 plays, 2 narrative poems, 154 sonnets, and a variety of other poems. 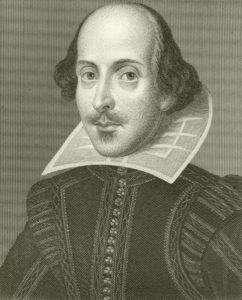 No original manuscripts of Shakespeare’s plays are known to exist today. It is actually thanks to a group of actors from Shakespeare’s company that we have about half of the plays at all. They collected scripts for publication after Shakespeare died, preserving the plays. These writings were brought together in what is known as the First Folio, which contains 36 of his plays and none of his poetry. Shakespeare’s legacy is as rich and diverse as his work, which has spawned countless adaptations across multiple genres and cultures, as well as an enduring presence in film. His writings have been compiled in various iterations of The Complete Works of William Shakespeare, which include all his plays, sonnets, and other poems. Over 400 years later, William Shakespeare continues to be one of the most important literary figures of the English language. Brian received his training as an actor at Burnaby South High School, Vancouver’s Holiday Theatre, and at the École Lecoq in Paris. Changing his focus to direction and dramaturgy in the mid-1970s, he has since created over a hundred and fifty professional productions for most of the major theatres across Canada as well as theatres in Europe, the United States and Mexico. As dramaturge, he has nurtured many of the leading playwrights of his generation. As a teacher, he has taught for numerous institutions including McGill, Concordia, Simon Fraser, York, Waterloo and Toronto universities as well as the National Theatre School of Canada. Brian is the Founding Artistic Director of Saskatoon’s Persephone Theatre and has also served as Artistic Director for Montreal’s Playwrights Workshop, Thunder Bay’s Magnus Theatre, and Toronto’s Theatre Passe Muraille. A four-time nominee for Dora Mavor Moore Awards for Outstanding Direction, Brian won this award for his 1988 production of Fire. He has also won Dora Awards for Outstanding Production (Fire, as well as Lillies, 1991). 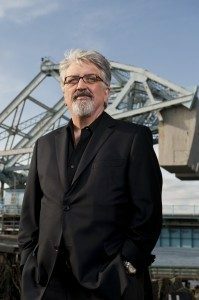 Brian is also the Founder and Producing Artistic Director of Victoria’s Blue Bridge Repertory Theatre (BBRT). Founded in 2009, BBRT is a company that offers the audiences of Victoria and its visitors contemporary visions into the great works from the past, as well as offering early career professional theatre artists the opportunity to work alongside some of the leading theatre practitioners of the day. Brian served as the Chair of the Department of Theatre from 2001-2008. During this time he directed ten productions for the department including; Frogs, Peer Gynt, The Resistible Rise of Arturo Ui, The Fever, He Who Gets Slapped, Guys and Dolls, Tyrants, Wind in the Willows, Dark of the Moon and Romeo and Juliet. Brian has received numerous senior artist grants for his creative work from the Canada, Saskatchewan, Ontario, and Quebec Arts Councils as well as from a broad range of Canadian foundations. Subscriptions for 3 or 4-show packages are now available starting at $42.00. The creative team and cast for this production will be announced later this spring. Join us for an informative lecture prior to our performances on the first Friday. Lectures are free and everyone is welcome, no matter which performance you have tickets for. The lectures are also recorded and audio files are posted here in the week following the lecture. Scenes of violence and domestic abuse.